Multimeter Brands – Which Are The Best? With the bewildering amounts of multimeters currently in the marketplace, there can be a lot of confusion when it comes time to finally pick something. These versatile tools can be used for such a wide variety of purposes that it can be hard to pinpoint exactly what you’re looking for. We’re here to give you a few overviews of some of the more popular brands to help you getting pointed in the right direction for the multimeter that will best do what you want it to. Amprobe produces cheap multimeters that are pretty high-quality when all things are considered. They’re not exactly field-ready, but if you need a meter for your hobby or testing things around the house, one of their models is sure to have you covered. The best part about them is definitely the price, the low-end models are amazingly affordable on virtually any budget. They’re fairly accurate, and have a decent amount of protection associated with them, but they’re not the hardiest of meters. Amprobe also produces some accessories, but apart from amperage clamps and temperature probes, there’s not much there to write home about. They’re a solid choice for the hobbyist or home DIYer who isn’t too hard on their tools, though. Extech meters are a great mid-range meter. They’re moderate in price and perform about where they should. This puts them in the unique position of being cheap enough for the hobbyist and generally hardy enough for field use. They offer units which are suitable for both around the house and industrial applications, which makes the brand pretty wide ranging in its capabilities. They also offer more accessories than Amprobe but don’t have the same range of capabilities as the higher end Fluke models. If you’re an advanced hobbyist, and desperately need to know everything that’s going on in a circuit but don’t want to spend the money for a Fluke, Extech is the perfect middle ground. They’re also great for those just starting out in a trade where a multimeter is a necessity without breaking the bank quite as much as a Fluke. 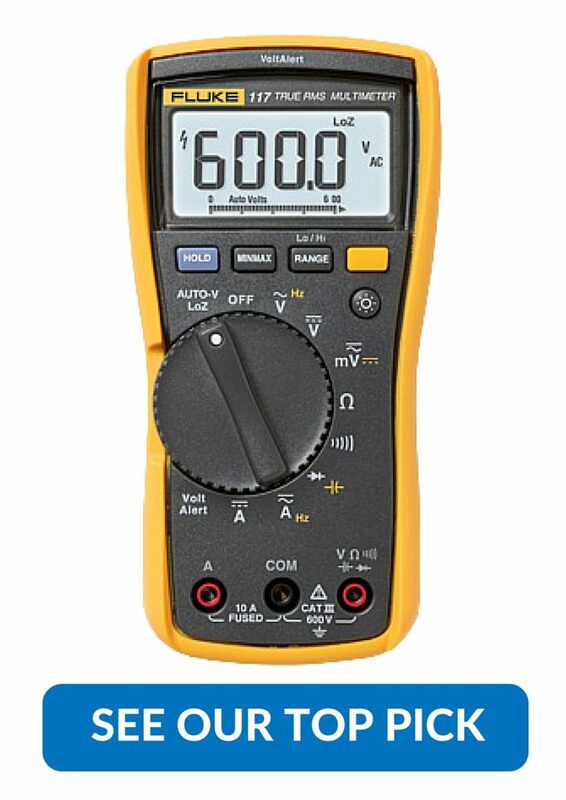 Fluke is the holy grail, and considered to be the best brand of multimeters and is frequently used by professionals in all trades. Even their cheaper meters are fast, accurate, and amazingly rugged. Even better, Flukes pretty much all come with warranties, and frequently have lifetime warranties. The Fluke 87, in particular, is regarded as pretty much everything a multimeter should be, but their entire line of products is solid. 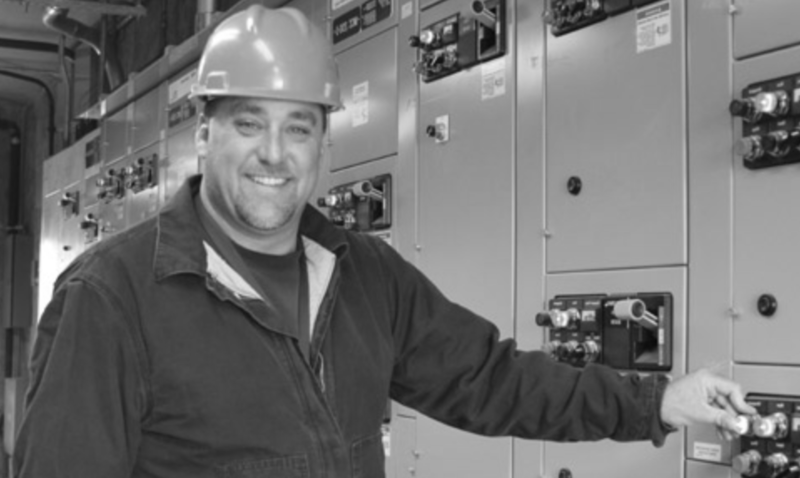 With that amazing quality and customer service comes one major drawback… Flukes are expensive. They cost many times more than the equivalent products from Extech and Amprobe. They have an extremely wide line of add-ons and accessories as well, more than almost any other brand. This makes for a meter which can be used for a wide variety of functions in the field. For the hobbyist or someone who leaves their multimeter primarily on workbench in the garage or shop, they may be a bit overkill. For any professional, however, Fluke products are the standard by which other multimeters are measured. As you can see, the brands differ a bit. For the hobbyist, Amprobe offers a cheap way to get started, although those with more advanced leanings may want to go with an Extech meter. Fluke is, of course, the absolute standard for those who work in the field but if you’re just beginning or you’re low on bucks one of Extech’s industrial meters should serve you just fine. We hope that we’ve pointed you in the right direction to find the best multimeter for what you need to do.